This is my version of my mom’s old “buck eye” recipe. Veganized and minus the chocolate! So delicious! Turn oatmeal to powder in blender. Add salt and stir to combine. Set aside. Blend almond milk and dates in blender until thick paste forms. Add date mixture and peanut butter to oatmeal and mix together to form a thick dough like consistency. Roll into balls or flatten and use cookie cutters. Freeze in airtight container until ready to eat. I use mini cupcake liners to keep balls from sticking together in the freezer. 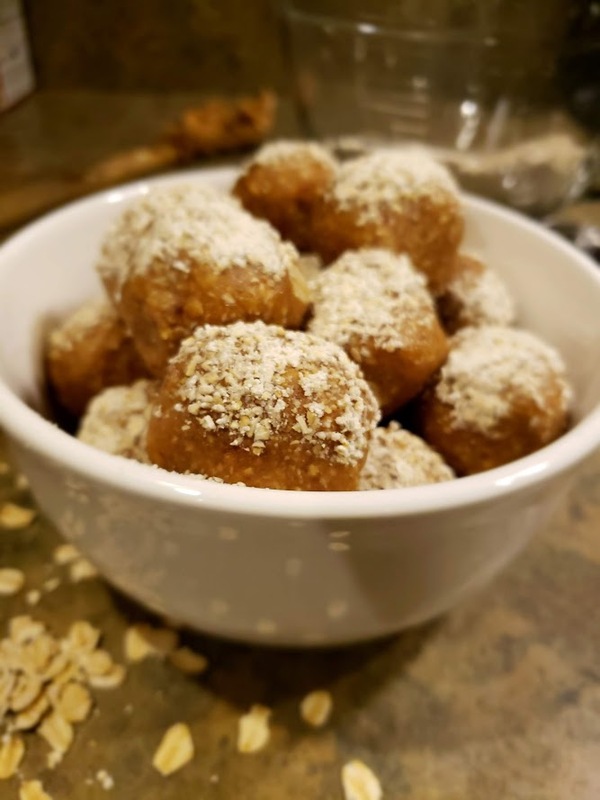 I also like to save a little oatmeal powder to dip the balls in to make them look fancy! Celebrity Saturday! MRS Mary Poppins!